Why Become A Bride Envy Affiliate? 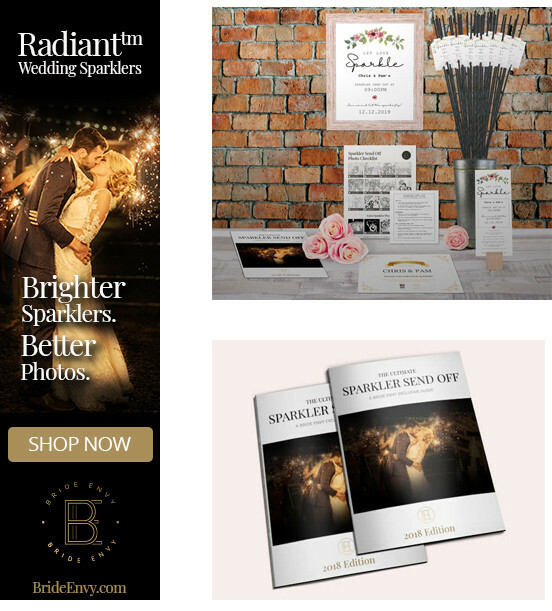 Put simply; because you’ll be promoting a product that helps couples have an unforgettable wedding send off. Bride Envy was created solely for the purpose of making the wedding exit perfect. Unlike other brands, we’re not satisfied with rebranded novelty items. All of our products are designed specifically for weddings. Everything from the packaging down to the most minute detail is designed to help make send offs easier, more beautiful, and overall just better. You’re probably wondering how you benefit from becoming an affiliate, right? After all, that’s the main reason you’re on this page! So here’s what you’ll get as a Bride Envy affiliate. While we do have costs to cover, we understand that it’s you that made the sale. And that’s why we offer super competitive commissions. Because without you, those sales would have never happened. So you can expect commissions up to 10%, with flexible options to be able to offer your customers a discount on their end as well. Find out with our real-time dashboard! You’ll be able to see important metrics such as your affiliate commission rate, total visits, conversion rate, and, of course, your total earnings. This will help you to optimize your sales process to increase your commissions. This shouldn’t even be a thing for you to worry about, but it is! We offer payouts on-time so you can cash in on your hard earned money when you need it. We’re not in this to just ‘set it and forget it’. We want to grow and we want to help you grow! The design team spent countless hours putting together our affiliate ad sets so that you have the best assets to use, period. Our streamlined affiliate process allows you to grab the code for our ad and paste it wherever you’d like within seconds. And remember, we take this seriously. If there is an issue or you have a suggestion for improvements, let us know. We want to make this work smoothly for the both of us! Each image will have a unique link that will have your referral code embedded. Every time someone clicks on your ad and purchases our products, you will receive commission. There will also be a “naked” link option for you to link to our products using your referral code. Ready To Be A Part Of The Bride Envy Team? Are you ready to start helping couples have an unforgettable wedding send off? Fill out the form to get started in our affiliate program.